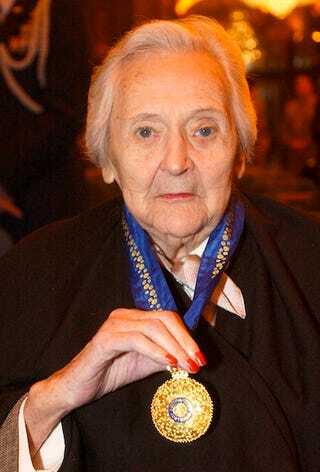 Today in "ladies we probably should have learned about in history class," we have Nancy Wake, a freelance journalist turned high-society hostess turned decorated French resistance hero, who died last Sunday in London at 98. During World War II, Wake escorted hundreds of Allied troops through occupied France, helped set up communication lines between the British military and the French Resistance, and even killed a Nazi sentry with her bare hands. Wake, who Germans dubbed the "White Mouse" for her ability to evade capture, once said of her wartime activities, "I don't see why we women should just wave our men a proud goodbye and then knit them balaclavas."